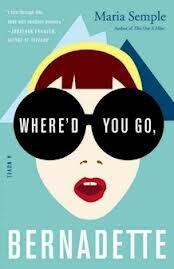 I just finished reading Where'd You Go, Bernadette, by Maria Semple and loved every minute of it. I secretly think we have a Bernadette hidden in all of us. I loved every devious and brutally honest moment of this book. If you need a great book to read this year, pick this one.